Join us March 23, 2019 at 7:30 pm for the Traditional Bluegrass and Gospel Music that Ted Jones and The Tarheel Boys are known for! $10 general admission and $12.50 reserved seating. 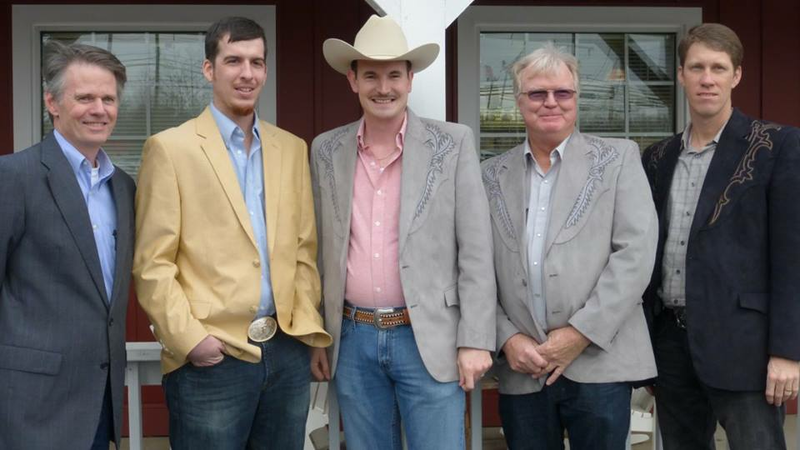 Ted Jones And The Tarheel Boys specialize in traditional bluegrass and gospel music. The group was founded in 2004 by Johnston County native Ted Jones who was eighteen years old at the time. No stranger to performing, Ted began playing guitar and singing gospel music with his Mom and Dad at the early age of eight in a bluegrass gospel band called True Gospel. While entertaining through the years, Ted became friends with mandolin player Nelson Allen who actually gave Ted his first mandolin when he was eleven. After learning a few chords, the mandolin soon became his first instrument of choice. Upon hearing the close brother-duet harmony of Jim and Jesse McReynolds and Jesse's unique cross-picking style of mandolin playing, Ted perfected that distinct style of mandolin playing by ear. Since the band’s formation, the band has undergone several changes in muscians. The current line-up is hard driving banjo player Joey Canady from Hamstead, North Carolina who is the pastor of Hamstead Baptist Church, Randall Canady from Hamstead, also Joey's brother who plays the guitar and sings harmony and Britt Prigden from Leland, North Carolina who provides variety and plays the upright bass.